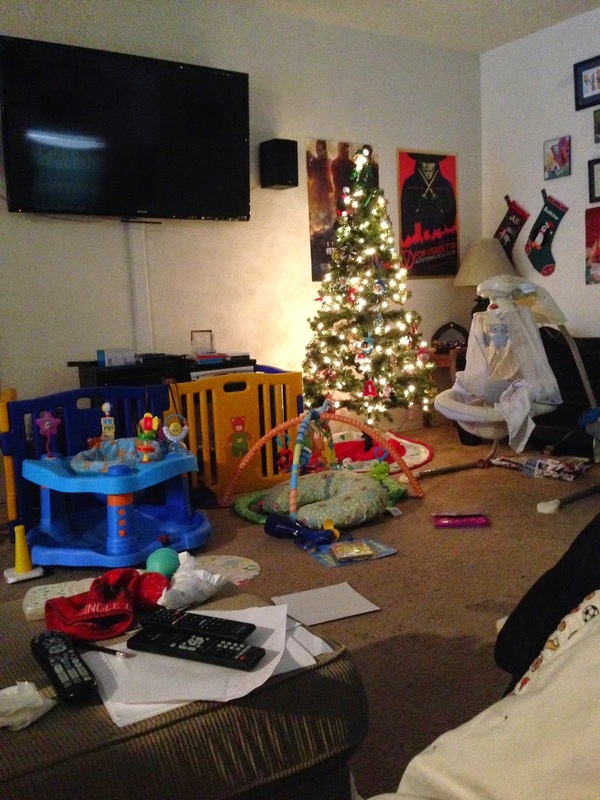 "Since everyone is posting about their Christmas trees going up I'm doing a #realmommoment this is my living room. My tree has been up since the 10th cuz I just really needed some holiday spirit ya know? There are toys everywhere and gear for baby girl taking up a ton of space, yes that is a diaper on my ottoman cuz that has become our diaper changing station hahaha I love the saying "Don't excuse the mess, my children are busy making memories" a lot. But at the same time, a mess drives me bonkers! And as much as its a constant struggle to keep house and children clean and happy, I'm happy to be the one that gets to stay home and try to do those things. As I sit here thinking of the millions of things I need/could do, I'm relishing in the quiet of the house with proof that children live here. Here's to taking a moment to love where you're at in life and being extremely happy/grateful that you made it ;)"
Jade is just getting so stinking big I can't stand it! 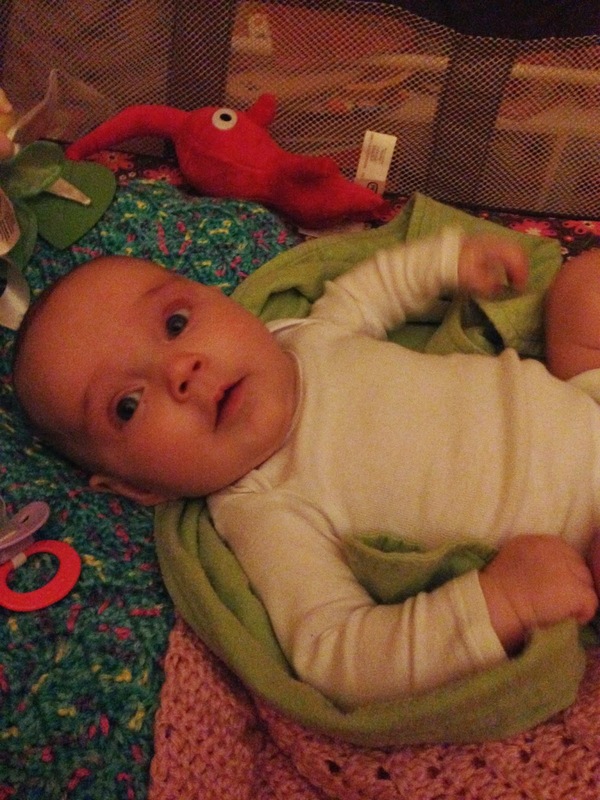 She rolled for the first time on Tuesday, off the ottoman onto the floor....... Mommy fail! But then she was all smiles when we clapped for her rolling hahaha She loves her family and always has a smile for her Daddy and Mama and a giggle/coo for big sister Rory ;) She still loves to swing in the fisher price swing and swaddled to sleep at night/naps. She's a binki baby which I was not prepared for but am totally fine with haha cuz if it keeps her calm, I'll worry about breaking her habit way later! Oh man!! I so know what you mean about all the perfect photos of Christmas decor on IG. I was literally thinking the same thing the other day, feeling super lame and like a slob that my living room doesn't look like this or that. Ha! Win.